The festival of Diwali is a five days carnival, that begins with the most auspicious day, ‘Dhanteras.’The Diwali holidays start from the very day of Diwali, they celebrate the king of festivals, (in India) Diwali, on the day of Dhanteras. 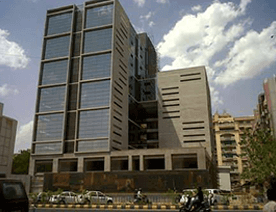 And the same was the case this Dhanteras when the entire 10th floor of #AbhishreeAdroit in Ahmedabad was singing the songs of celebrations. Believing in this, this year, Space-O has made a vow, of celebrating every festival according to the Indian calendar, whether it be Janmashtami or Diwali. And as an endorsement to that philosophy and thought process, the Diwali party commenced yesterday. Space-O has always believed in following the traditions, but with a twist. 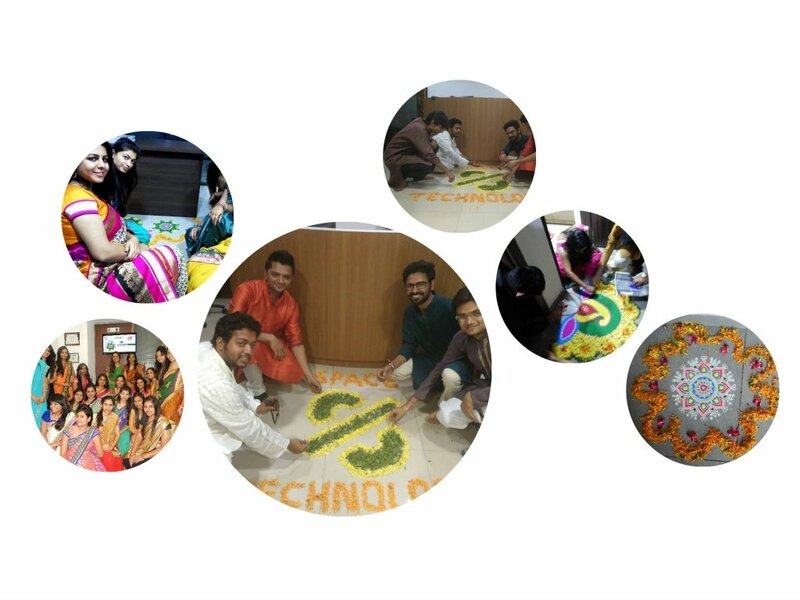 So our afternoon began in the traditional way, by doing rangoli in the main office, Everything Civic’s office, the training room and the game zone. And naturally, after that, a not so conventional selfie session followed. The entire ‘Paltan’ soon came inside for the Housie game, that brought in the fun part, which Diwali represents in our lives. Chintan Modani aka our own CPM was our famous housie host, who made the numbers interesting with a few phrases that all housie masters must know. While the winners took Cadbury’s Celebrations home, those who did not win, took a lot of happy memories with them. Since Diwali is all about bringing out light in the days of darkness, CPM, tried to bring out those talents in Space-O that might never have the chance to show it. 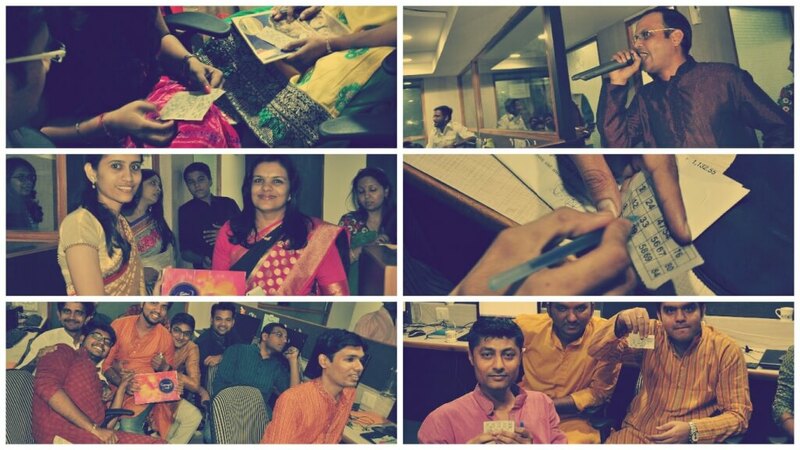 One after the other, people from different departments started pouring in their most hidden lamps of light with talents like ‘turning a Hindi song into Gujarati,’ ‘reciting a poem,’ ‘saying couplets (sher)’ and more. As it happens with everything that is good, the day came to an end, with a dinner that the Space-O family shared with each other. 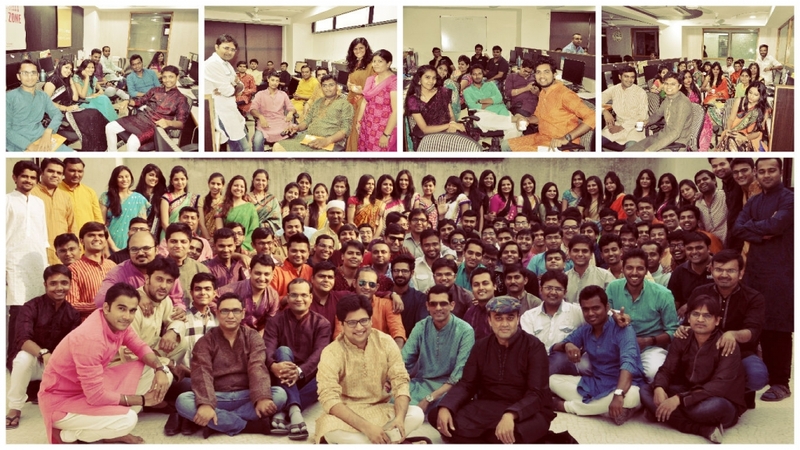 The Diwali day celebration was thus a day that represented the fact that Space-O doesn’t want to uproot itself from the traditions that our culture proposes, and yet we aim to reach the space by getting the push from our traditions. In the end, here is what is left to say!